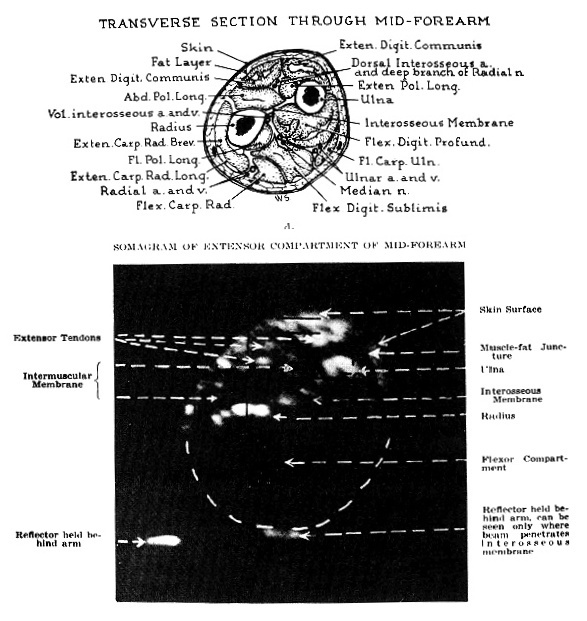 Howry's somagram image of an arm in his paper in 1952. Both the ulnar and radius were demonstrated although the two bones cast shadows and "the loss of all signals behind them is apparent". Overlying skin and other details were not clearly visualized and there was difficulty in pthological anatomical localization without direct comparison to the normal anatomy. Nevertheless Howry and his team were optimistic for further improvements.